The dusky but stunning actress Nandita Das... No, wait. Scratch that. But really, how many articles have you encountered where that's exactly how she's described? It's like the style-sheet demands it. An actress and dark-skinned? Oh! We must mention that in the first line itself, because, god knows, the 97,34,45,450-odd journalists before us haven't. Nandita Das, the unmistakable face of Dark is Beautiful campaign... Actually no, scratch that too. As she tells Catch in this interview, she had no choice but to be the face of that campaign. Because most other actresses magically get 10 shades lighter with every consecutive film. Surely then, we must describe her as an actress and nothing else. But that's tricky too, for Das isn't a big fan of being identified as just that. After all, each one of us has plural identities, at least going by our Twitter bios. Then why must we deny her that right? 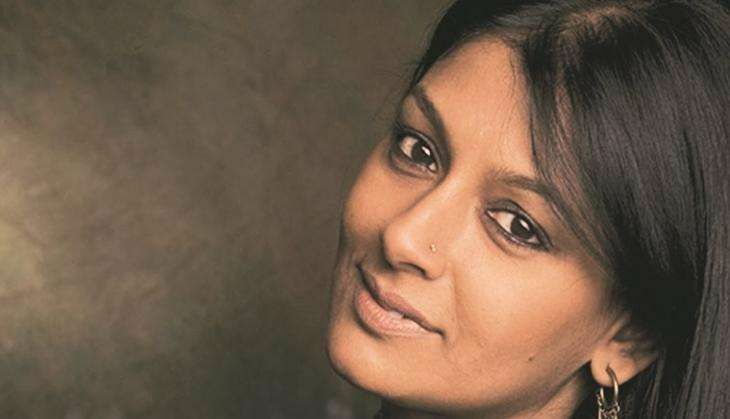 So here, Nandita Das, a feminist as she comfortably identifies herself, talks about directing Manto, being a parent, being dark-skinned and perturbed at the constant reminder, and the male feminist. Read on. DS: You mentioned that you don't particularly like being introduced as an actor? Why is that? ND: No, it's not that I don't like being introduced as an actress. It's just that there are many different things I do and I struggle with [deciding] which one I should own up to more. So, acting is something I've been doing for the last 20 years but I don't see it as a profession, as a career. It's more of an interest, more of a means to an end. It does give me the opportunity to talk about things that I really care for. So I see it more as that and if I had to divide my time, I think I'd spend more time in social advocacy work and less in acting. And some in directing. DS: Are you focusing on directing now? So, at different times different things happen. DS: Speaking of Manto, you talked about how male feminists need to be included in the conversation, and Manto's work is fairly feminist. Could you tell me why you think it's important? ND: Yeah, I think in a lot of feminist discourse we've worked with a lot of women, as we should. Therefore women are the ones questioning, raising their voice, coming into the public space, etc, but men somehow, largely - of course, this is a generalisation - are where they were. Because we haven't engaged enough with men. So there's a bigger gap happening there, and I think there's a real need to engage with men and to make them understand that this is not against men. That it is at a societal, at a larger level that we want more equality - that is good for them, good for the women, good for the world we live in. And I think that message hasn't gone through enough, and that's why there's a greater need [to include them]. Manto, even though he's a man, it doesn't mean that every woman is writing feminist stuff. Women are also conditioned by patriarchy. So it's really more about patriarchy as opposed to man vs woman. So I think, for feminist reasons, for reasons of freedom of expression, reasons of struggles of identity, Manto is extremely relevant today. DS: You've said that you're constantly introduced in articles as dark, dusky and that the industry hasn't quite been able to move past that. Do you think we like to stereotype our actresses, put them in little boxes? Are they supposed to appear a certain way? Are you? ND: I think there's been a certain standardisation of beauty. [There's a certain] kind of measurements that are given, the kind of skin, the colour, the hair, everything - and then you say, 'Okay, this is beautiful.' If you're not that then all your life you have to keep trying to be that. That's very sad. In a country that's largely dark, largely my skin colour, we are being made to feel less worthy. A lot of young girls lose their self-esteem, their self-worth, purely because they were born dark. So I think we're giving too much emphasis to the given identities, whether it's your gender, the colour of your skin, whether it's your caste, your religion... these are things we haven't chosen. This is what we're born with, and to make you feel proud or ashamed of either is, I think, very very unfair. So we should be proud of and identify with ourselves with what we do, we think. And increasingly if you see in films, even the darker, wheatish actresses have progressively become lighter and lighter. 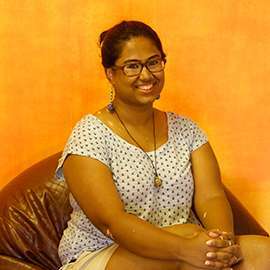 I have by default become the face of this Dark is Beautiful campaign, not by choice.